Health officials throughout the U.S. are investigating a multistate outbreak of salmonella carrau linked to pre-cut melon from Indianapolis-based Caito Foods, LLC. Caito Foods issued a recall late last week for pre-cut watermelon, honeydew, cantaloupe and fruit medley. The recalled products were packaged in clear, plastic clamshell containers and distributed to multiple stores, including independent retailers. The recalled products have also been sold under various brands or labels at Kroger, Walmart, Trader Joe’s, Target and Whole Foods. 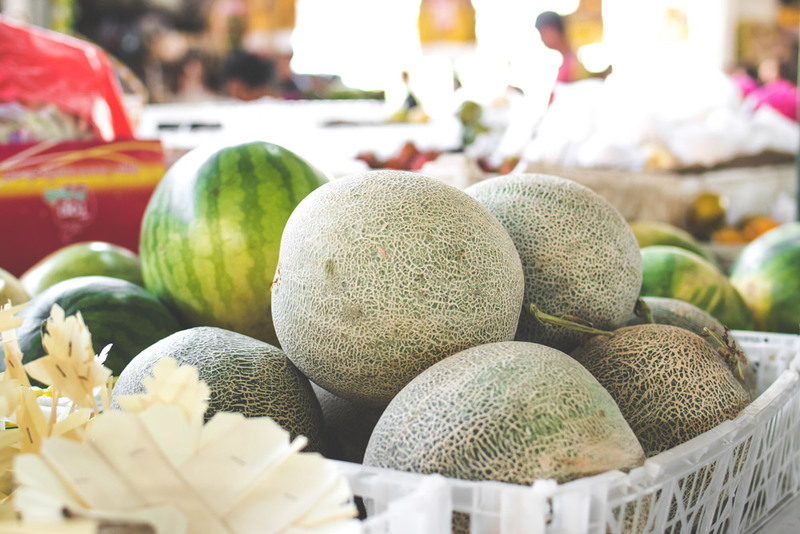 Health officials advise consumers to check packaging to determine if the melon was distributed by Caito Foods, and if so, to dispose of the products. They also advise consumers to dispose of any pre-cut melon products if they are unsure of where it was produced. Retailers and restaurants should not sell or serve the recalled products, say health officials. In nine states, 93 cases have been reported, with illnesses starting on dates ranging from March 4 to March 31, according to the Centers for Disease Control and Prevention. In Illinois, five cases have been reported in the northeastern part of the state from mid-to-late March, according to the Illinois Department of Public Health. IDPH is still investigating where the melon products were distributed in the state, so others could potentially be exposed in the state, according to an IDPH press release. Salmonella carrau can cause symptoms such as headache, muscle aches, diarrhea, vomiting, nausea, fever and dehydration. Anyone experiencing symptoms 12-72 hours after eating pre-cut melon should contact a health care provider and tell them you recently ate melon. For more information and updates on the outbreak, visit the CDC’s website. 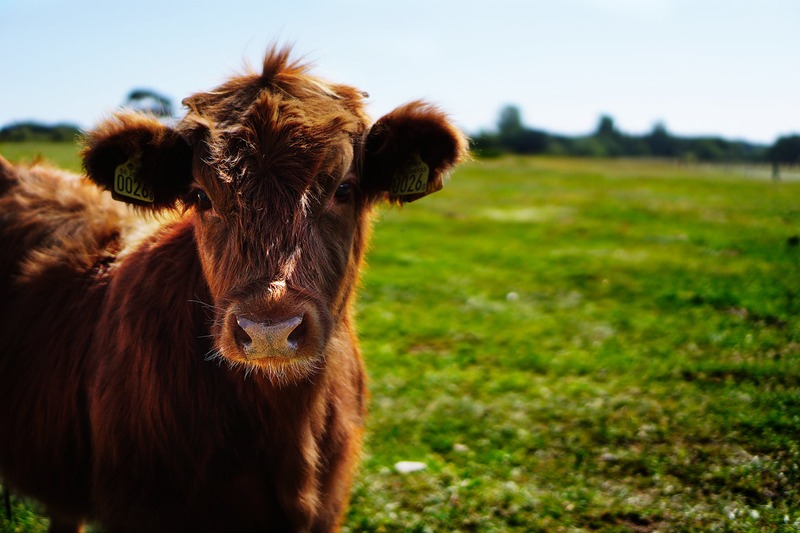 Grass-fed beef comes from cows that consume only grass and other foraged foods. What a cow eats directly affects the levels and kinds of nutrients (and fats) that you get from eating its meat. Meat from 100% grass-fed cows is packed with more nutrition than from a conventionally farmed, grain-fed cow. The grazing of grass and roughage rather than being confined and fed a diet of processed foods makes a difference. Lean beef that's 10 percent fat or less — whether it's grass-fed beef or another type of beef — can be part of a heart-healthy diet. Rapid Growth Activator is an all-natural product designed to deliver the nutrients that soil needs to grow beautiful, vibrant grass. RGA contains the perfect combination of beneficial soil bacteria, nutrients and vitamins to create the best possible solution for your fields. The use of RGA reduces the need for insecticides and fertilizers. 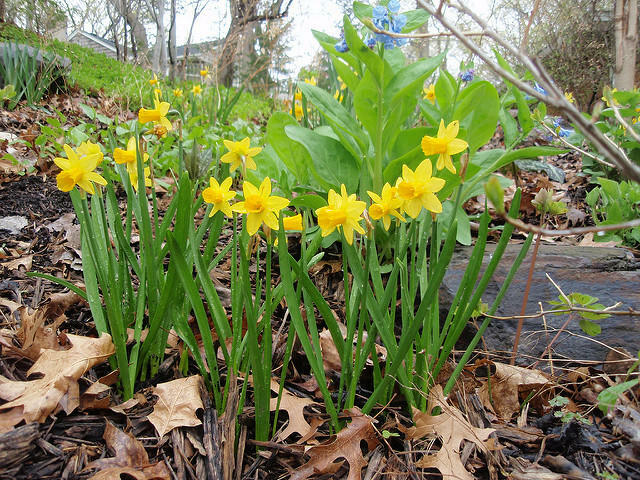 It can be applied to compost to assist micro-organism activity to break down organic matter, works in synergy with the soil, and reduces insect damage and disease intensity. Spring is the time of year that the grills start to come out and people can enjoy cooking outside. Grilling is a great way to make extra delicious food in a healthy way, but it comes with its own set of unique food safety challenges. Make sure you follow these rules to keep everything food safe! When shopping for a grilled meal, pick up meat last. Make sure it is far away from other fresh food items like fruits and vegetables. Once you are home, immediately refrigerate food at 40 degrees F or below. Rinsing meat is not recommended due to the splashing that occurs, but for an extra cleaning measure, dip meat in CitroBio Fresh Food Wash for 5-10 seconds before grilling. CitroBio does not alter the smell, taste, or texture of food, and helps reduce harmful pathogens like E. coli, Salmonella, and Listeria. After carrying raw food out to the grill, make sure you place the dirty plate in the sink or dishwasher to be sanitized before it is reused. A separate clean plate should be used to transport the food back inside once it has been cooked. Never reuse the same plate unless it has been properly cleaned in between. Once the food has been cooked, thoroughly wash your tongs or utensils or use different ones for serving cooked food. Food can quickly spoil when they’re outside in the sun. Be sure your grill is hot and ready before bringing food outside to be cooked. Raw food should go directly on the grill once it’s been brought outside. You may think you know what “done” looks like, but sometimes in the outdoor lighting it can be hard to tell. 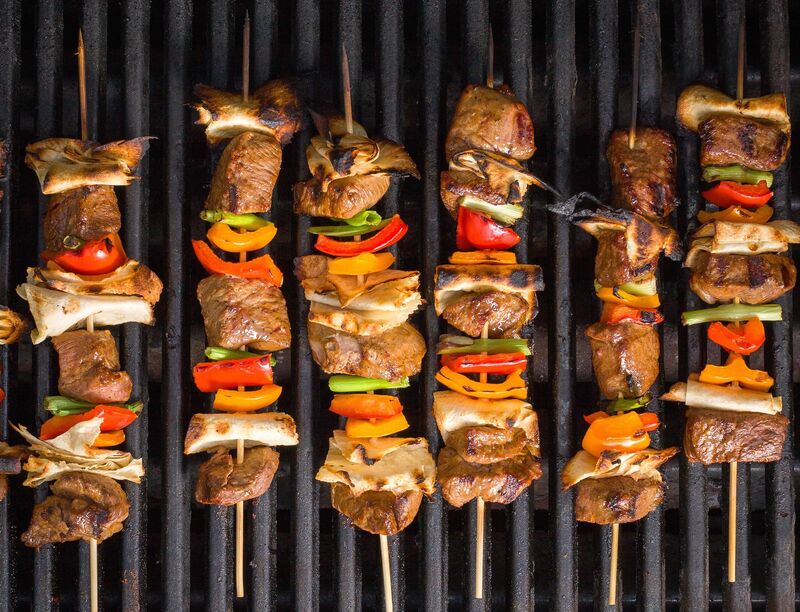 Use a food thermometer to check that foods are at the proper temperature before they come off the grill, and give them the correct amount of time to rest before cutting and serving. You can view a chart of temperatures and resting times here. At CitroBio, we are committed to food safety. Learn more about how our food wash controls pathogens and helps maintain healthy, safe food. Buy on Amazon today! Around 90 percent of seafood consumed in the U.S. is imported, but just 2% of imported seafood is being inspected in the United States. 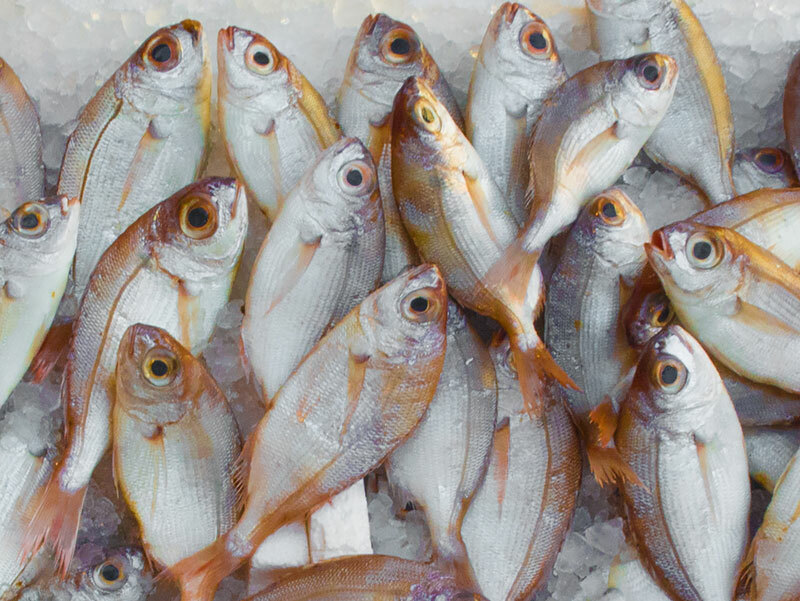 This is an alarmingly small percentage, as half of all imported seafood comes from farms and is not wild-caught, according to the Government Accountability Office. Foreign farm-raised seafood is often kept in unsanitary and cruel conditions, and is pumped full of undesirable substances, such as antibiotics to keep sick seafood alive, and steroids to make the seafood grow bigger, faster. 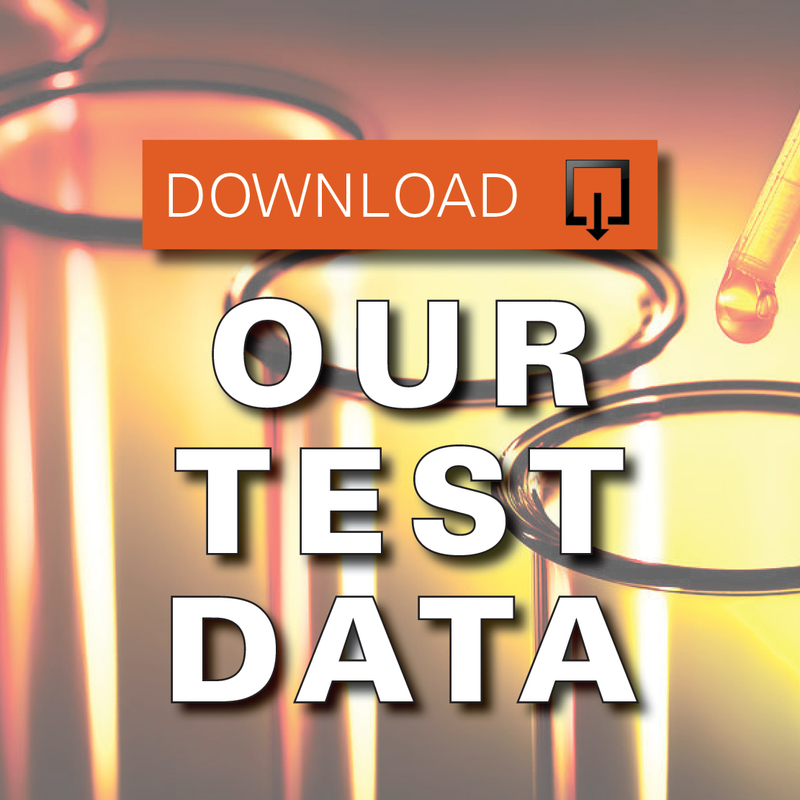 Seafood can be rejected if it contains banned antibiotics, steroids, chemical dyes, bacteria, or is putrid or decomposed; but since imported seafood isn’t being widely tested, what can U.S. consumers do to protect themselves? Try to find seafood that is wild caught, rather than farm-raised. Look for a label on the seafood that indicates it was wild caught or harvested in the United States, as domestic seafood gets inspected more frequently and thoroughly than imported seafood. Buying domestic seafood also helps protect American fisherman and seafood farmers from losing their livelihood. Make sure the seafood looks healthy and doesn’t have an overly fishy odor. Second to seafood being rotten upon arrival, the most common reason for seafood being rejected is banned antibiotics, with bacteria like salmonella and campylobacter coming in third. These organisms can infect consumers with antibiotic-resistant bacterial infections, and sicken up to 400,000 Americans every year. CitroBio Fresh Food Wash can be used on produce, seafood, sushi, and meat of all types to help remove contaminants from food. Purchase on Amazon now. 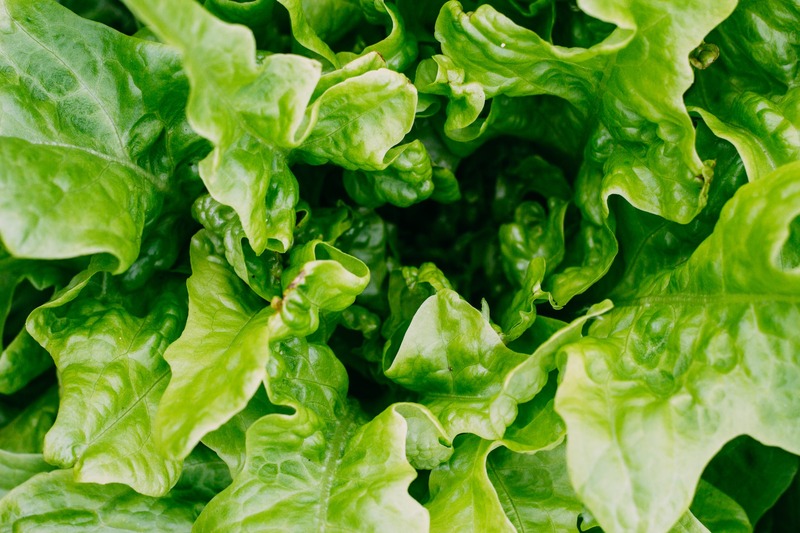 The 2018 romaine lettuce E. coli outbreak continued to grow this past month, as the CDC announced that a total of 52 people had been affected in the U.S. in the fourth quarter of 2018. Nineteen people ended up in the hospital, including two who experienced kidney failure. Fortunately, no deaths were reported. Hydroponically and greenhouse grown lettuce was not affected by the outbreak. Romaine lettuce that is considered safe is now being sold with a harvested date on the labels, letting consumers know it was harvested after the outbreak was identified. The affected lettuce was grown in California near Monterey, San Benito, San Luis Obispo, Santa Barbara, Santa Cruz and Ventura. Consumers are still being advised to avoid romaine lettuce harvested from that region as the investigation is ongoing, and a common grower or distributor has not been identified. Lettuce can be a key part of a healthy diet. 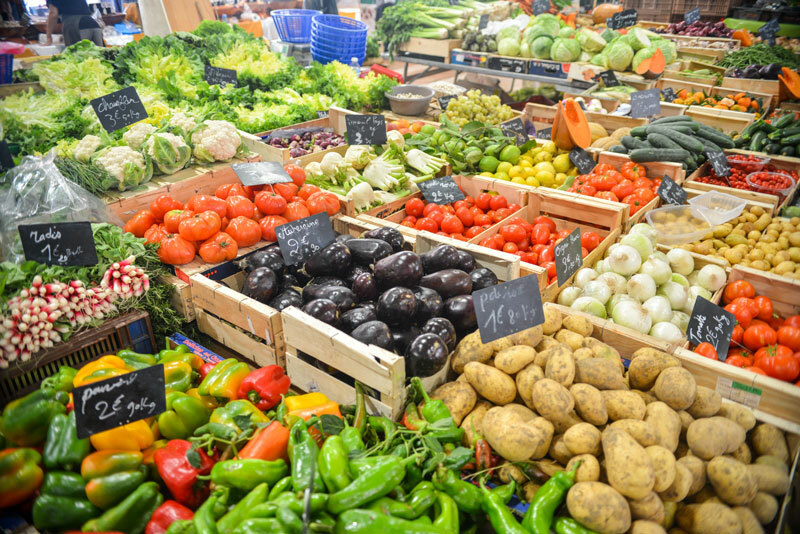 When choosing produce, try to find products that are grown as locally as possible. This does not guarantee their safety, but it does limit the amount of people and companies that have been involved in getting it to you, and generally means it has been sitting around for a shorter amount of time. When preparing food, remember to follow the most important food safety rule: wash all produce thoroughly. CitroBio Fresh Food Wash helps to control pathogens such as E. coli, Salmonella, Listeria and more. Buy on Amazon today. It’s soon to be the most wonderful time of the year! Thanksgiving is a holiday full of tradition, but it also can be a giant pathogen fest if you’re not practicing food safety throughout grocery shopping, storing, preparation, and cooking. The holidays are also unfortunately timed right in the middle of cold and flu season, meaning anyone preparing food for your party or potluck may have germs and/or viruses clinging to their fingers while preparing food. Be sure to wash hands thoroughly before cooking, and after handling any raw meat, and don’t feel bad reminding others to do so, as well. 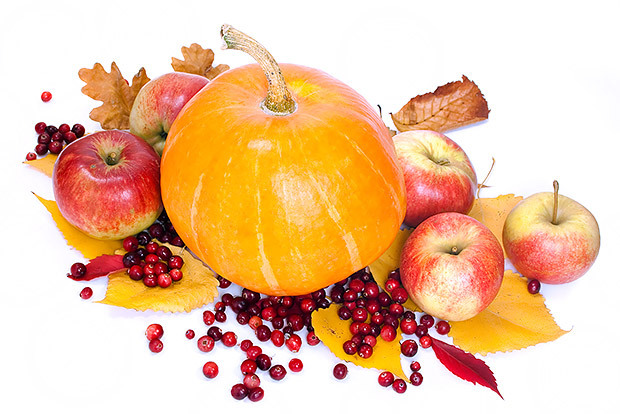 From all of us at CitroBio, Happy Thanksgiving! We hope your holiday is safe and enjoyable. 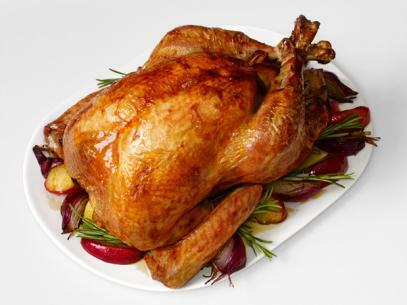 Click here to read more turkey cooking tips. Sprout Creek Farm of Poughkeepsie, New York has recalled 132 wheels of "Margie" cheese. Margie cheese is a soft, white rind, cow's milk cheese. The wheels weigh 1 pound, and are packaged with a green round label, wrapped in white milk paper. They can be identified with the lot number make date of 10-9-18 and best by dates of 12-9-18. 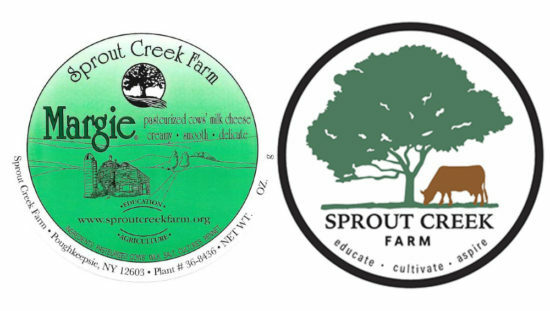 The recall was issued following the results of a routine US Food and Drug Administration inspection of Sprout Creek Farm's cheese production facility. Samples from the inspection were found to contain Listeria monocytogenes, which can cause Listeriosis. Listeriosis can cause fever, muscle aches, headache, stiff neck, confusion, loss of balance and convulsions sometimes preceded by diarrhea or other gastrointestinal symptoms. An invasive infection spreads beyond the gastrointestinal tract. In pregnant women, the infection can cause miscarriages, stillbirths, premature delivery or life-threatening infection of the newborn. In addition, serious and sometimes fatal infections in older adults and persons with weakened immune systems. Listeriosis is treated with antibiotics. Persons in the higher-risk categories who experience flu-like symptoms within two months after eating contaminated food should seek medical care and tell the health care provider about eating the contaminated food. 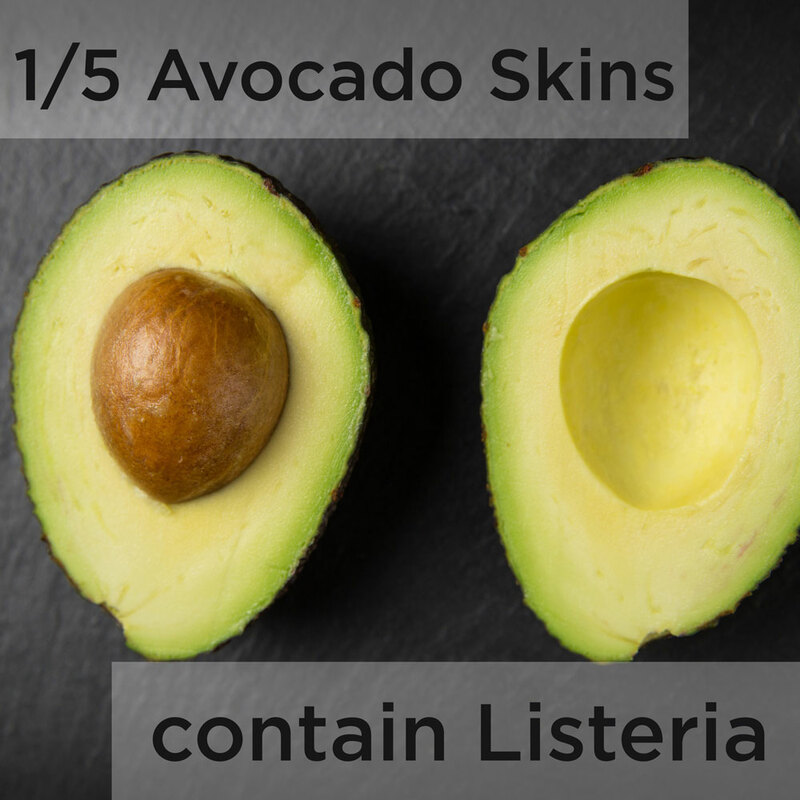 Avocados have quickly increased in popularity in the past several years. A healthy fat, avocados are a fabulous part of a balanced diet. Guacamole is an easy, crowd-pleasing way to fit more avocado into your day. Read on to see how easy it is to make this healthy, yummy dip! Mash avocado in a large bowl using a fork. Add lime juice, salt, hot sauce, and garlic powder and continue mashing until you like the consistency. Stir in the onion, cilantro, tomato, salsa verde, hot sauce, and jalapeno. Serve immediately or cover bowl with plastic wrap and refrigerate. Keeps for 2-3 days in the fridge. Enjoy! Click here to buy CitroBio on Amazon. Concerned about food safety? Buy CitroBio Fresh Food Wash for food safety on Amazon today. Hy-Vee, Inc., is voluntarily recalling six meat and potato products due to possible contamination with Salmonella and Listeria monocytogenes. Hy-Vee operates more than 240 retail stores in eight Midwestern states, including Illinois, Iowa, Kansas, Minnesota, Missouri, Nebraska, South Dakota and Wisconsin. The recall was made after Hy-Vee's supplier, McCain Foods, announced it was recalling its caramelized mushrooms and fire-roasted tomatoes. Customers who purchased any of these products with these dates should not consume them. Customers are being asked to discard these items or return them to their local Hy-Vee store for a full refund. Consumers with questions may contact Hy-Vee Customer Care representatives 24 hours a day, seven days a week at 1-800-772-4098. Concerned about food safety? 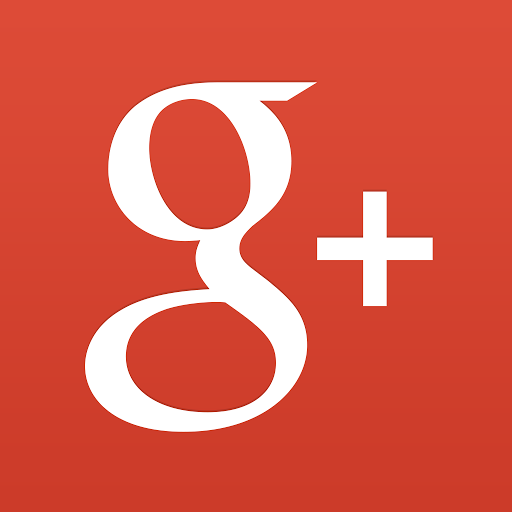 Review our tips for food safety here. Buy CitroBio Fresh Food Wash for food safety on Amazon today. Concerned about food safety? Protect your family - Buy CitroBio Fresh Food Wash for food safety on Amazon today. WASHINGTON, Oct. 16, 2018 – Prime Deli Corporation, a Lewisville, Texas establishment, is recalling approximately 217 pounds of ready-to-eat salad with bacon products that contain a corn ingredient that may be contaminated with Salmonella and Listeria monocytogenes, the U.S. Department of Agriculture’s Food Safety and Inspection Service (FSIS) announced today. 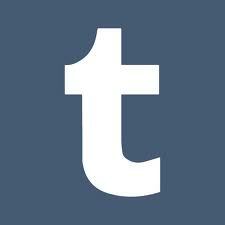 The products subject to recall bear establishment number “EST. 13553” inside the USDA mark of inspection. These items were shipped to retail locations in Texas. 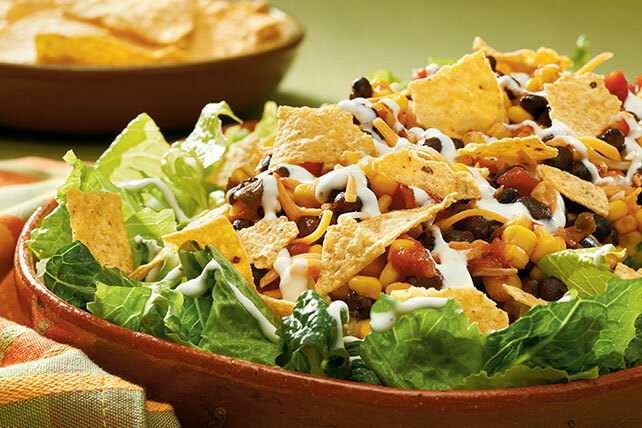 The problem was discovered on October 14, 2018 when Prime Deli Corporation received notification that the corn used in the production of their Southwest Style Salad with Bacon was being recalled by their corn supplier due to Listeria monocytogenes and Salmonella concerns. Media and consumers with questions regarding the recall can contact Luis Aguilar, Prime Deli Corporation Quality Assurance Manager, at (817) 360-8483. Listeria is a serious infection that primarily affects older adults, people with weakened immune systems and pregnant women and their newborns. 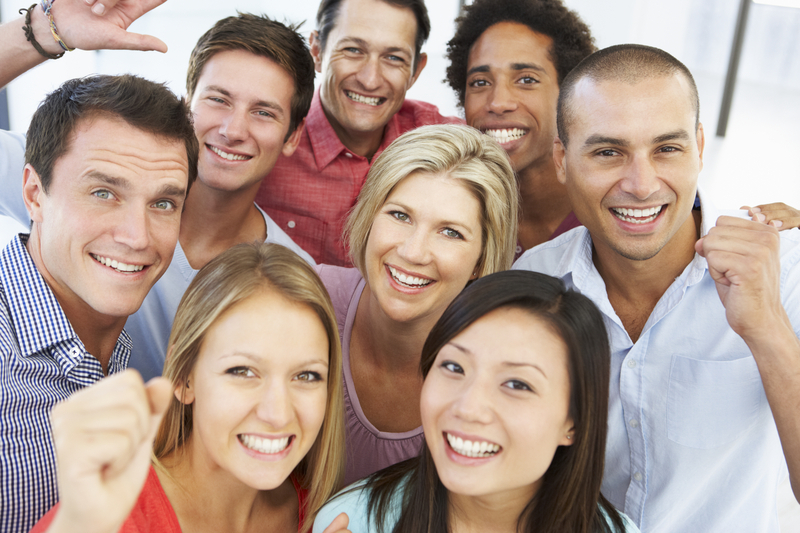 People outside of this risk group are less commonly affected. The U.S. Department of Agriculture’s Food Safety and Inspection Service (FSIS) announced Wednesday a North Carolina-based company has issued a recall for approximately 89,096 pounds of ready-to-eat ham products that may be contaminated with listeria. 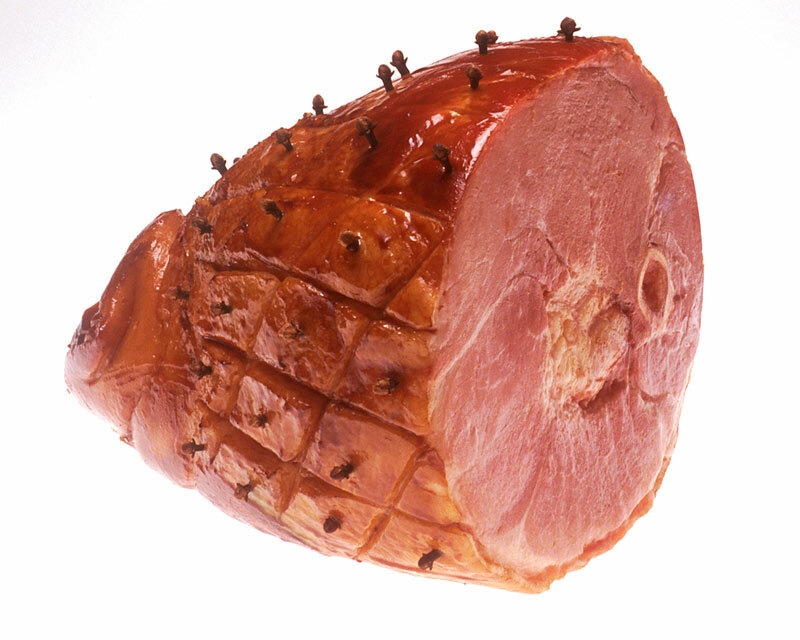 Johnston County Hams of Smithfield, North Carolina, produced the ready-to-eat-deli-loaf ham items from April 3, 2017 to October 2, 2018. The products were shipped to distributors in Virginia, North Carolina, South Carolina, Maryland and New York. 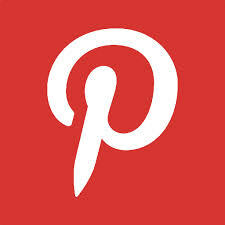 The products that are subject to recall have the establishment number “EST. M2646” inside the USDA mark of inspection. On September 27, the FSIS was notified that a person with listeriosis reported eating a ham product produced at Johnston County Hams. After working with the Centers for Disease Control and Prevention and state and public health and agriculture partners, FSIS determined there is a link between the listeria illnesses and ham products produced at the company. An investigation identified four listeriosis-confirmed illnesses, including one death, between July 8, 2017 and August 11, 2018. FSIS collected two deli ham product samples from the Johnston County Hams facility in 2016 and early 2018. Did you know that local foods promote a safer food supply? The more steps there are between you and your food’s source, the more chances there are for contamination. Food grown in distant locations has the potential for food safety issues at harvesting, washing, shipping, and distribution. 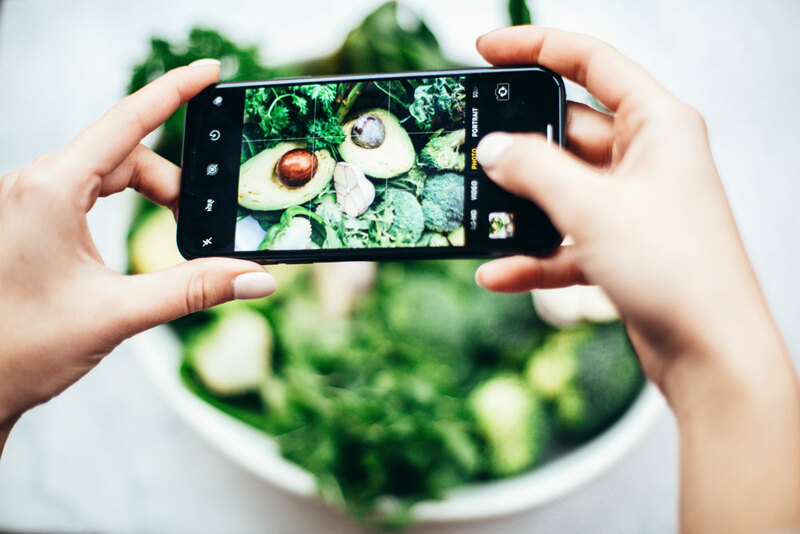 Local food spends less time in the cycle from farm to table, and is less likely to be spoiled or contaminated by the time it gets to the consumer. Eating local food is eating seasonally. 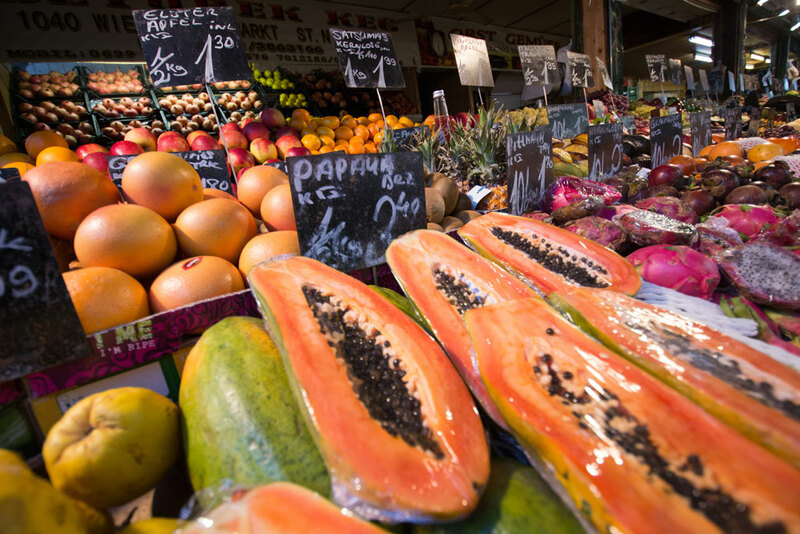 The best time to eat foods is when they can be purchased directly from a local grower. They are full of flavor and taste better than the ones available in the winter that have traveled thousands of miles and picked before they were ripe. So what's in season in the fall? Apples, beets, bok choy, broccoli, cabbage, carrots, cauliflower, cranberries, grapes, kale, parsnips, squash, pears, pomegranates, pumpkin, and sweet potatoes, to name a few. Enjoy these fruits and vegetables after washing thoroughly with CitroBio Fresh Food Wash to reduce contaminants. Now available on Amazon! The FDA has documented the first confirmed evidence of the Cyclospora parasite in fresh herbs grown in the U.S. The Food and Drug Administration has been carrying out a special testing program for herbs, which usually don’t undergo a “kill step” such as cooking before they are consumed, to obtain baseline estimates for the prevalence of contaminants. 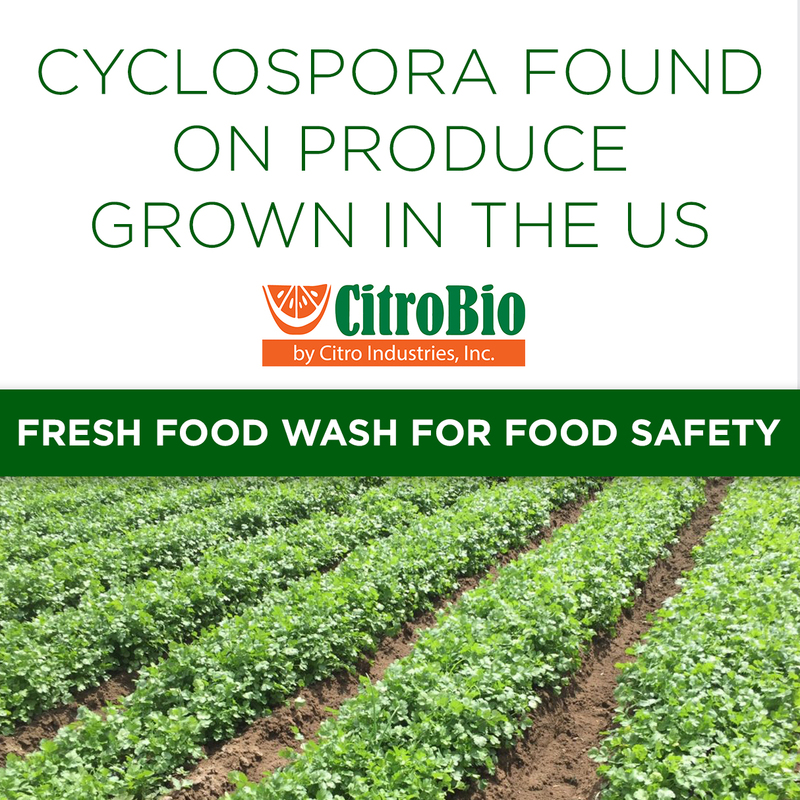 During these special testings, they found Cyclospora on fresh cilantro at a farm in the United States. The cilantro was embargoed and staff from the FDA have been working with the farmer to ensure proper steps are taken to prevent the contamination of further crops. To date, there haven’t been any illnesses documented from the contaminated cilantro, and the recent outbreaks of Cyclospora at McDonald’s and in Del Monte vegetable trays are not related. The special testing program has also found Cyclospora on two samples of fresh cilantro from Mexico. The FDA refused entry for the shipments and is following up with the Mexican farms to help avoid contamination in the future. Basil and parsley contaminated with Cyclospora have also been found in recent years. Cyclospora is a microscopic parasite of humans. The parasite, when ingested, can cause an intestinal illness called cyclosporiasis. Most people infected develop diarrhea, loss of appetite, stomach cramps, fatigue, and more. Symptoms may seem to go away and then return one or more times if not properly treated. The FDA and CDC are investigating a multi-state outbreak of cyclosporiasis illnesses linked to salads from McDonald's restaurants in August 2018. As of August 16, 2018, nearly 500 cases were confirmed of Cyclospora infection. The FDA is reviewing information to try to confirm how the problem occurred. 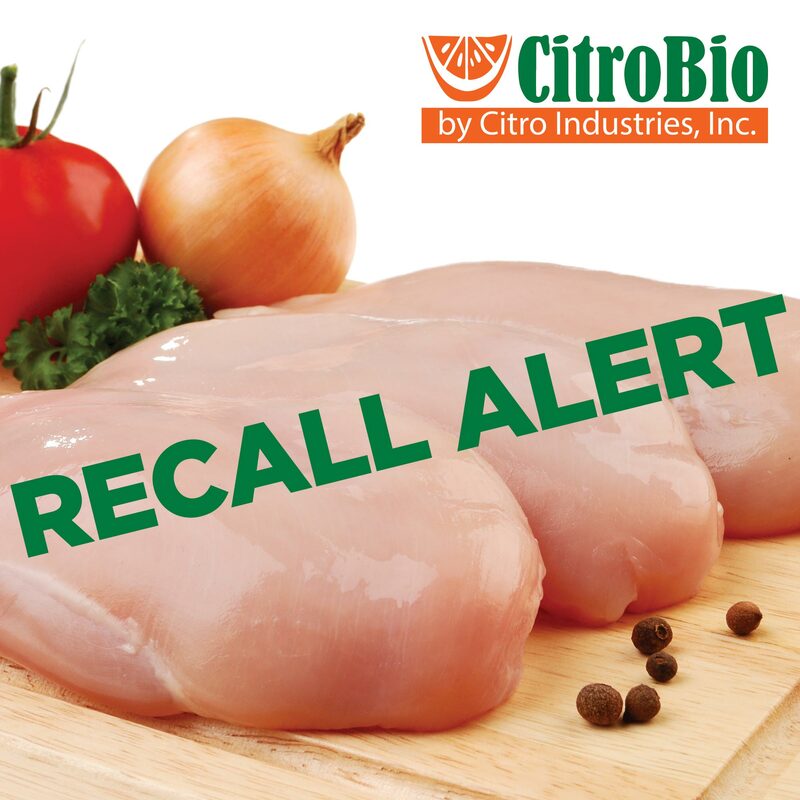 The USDA’s Food Safety and Inspection Service issued a public health alert on foods (beef, pork, and poultry salads and wraps) that were distributed by Caito Foods in Indiana, containing chopped romaine lettuce sold by Fresh Express. 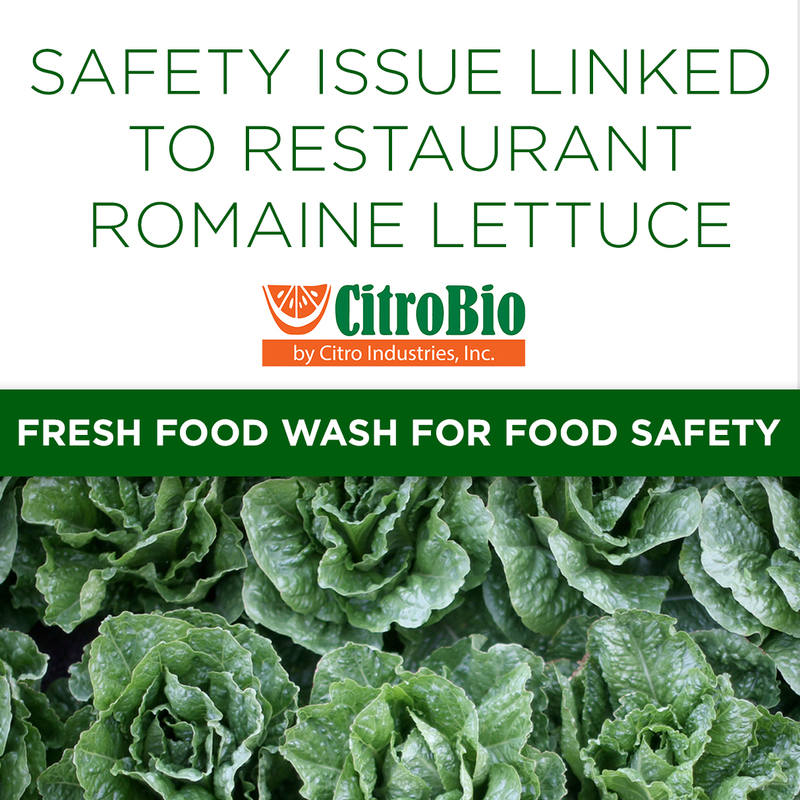 The FDA confirmed the presence of Cyclospora in a sample of Fresh Express salad mix containing romaine lettuce and carrots, which had been distributed to McDonald’s. Cyclospora is a microscopic parasite of humans. The parasite, when ingested, can cause an intestinal illness called cyclosporiasis. Most people infected develop diarrhea, loss of appetite, stomach cramps, fatigue, and more. Symptoms may seem to go away and then return one or more times if not properly treated. If you’ve consumed salads or wraps from McDonald’s in the past two months and experienced intestinal illness, contact your doctor to make sure you don’t have cyclosporiasis. Foodborne illnesses are an enormous burden on public health and society. Each year over 48 million Americans (approaching 20% of the population) fall ill to food poisoning. A small percentage of these are due to foodborne outbreaks, when a certain food has been targeted as tainted, but most are due to cross-contamination, or not following food safety guidelines, and are preventable. It's important to prevent these illnesses and deaths for many reasons, one of which is that they are contributing significantly to the cost of healthcare, and lost wages and labor for employers. Foodborne illness is most harmful to certain groups of people; particularly, the very young and the elderly. Children younger than age 4 have the highest incidence of lab-confirmed infections that are often preventable by simply washing hands more often and avoiding putting contaminated objects in the mouth. The elderly have reduced immune systems and are at greater risk of falling seriously ill to intestinal pathogens that are commonly transmitted through foods. Fortunately, there are many ways to prevent food poisoning and avoid getting sick. Read some of our tips here and be sure, as always, to thoroughly wash foods before cooking or consuming. Click here to buy CitroBio Fresh Food Wash on Amazon.